The accurate manufacturing quality of the SPC100 ensures reliable and accurate long-term machine function. The design fulfils the curing requirements of all high performance tires. The press can be equipped with Post Curing Inflation for tyre shaping and cooling. The use of a servo hydraulic system in combination with an integrated thermo group valve saves energy. 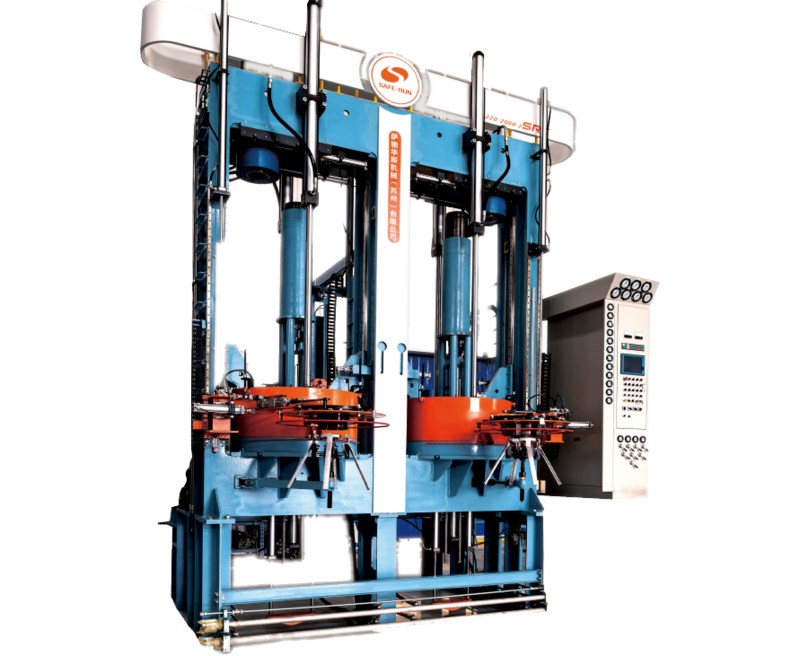 One machine can vulcanize different tire sizes at the same time to realize the production of small tire batches. A single-modefunction allows a simple control of 2 molds at the same time.